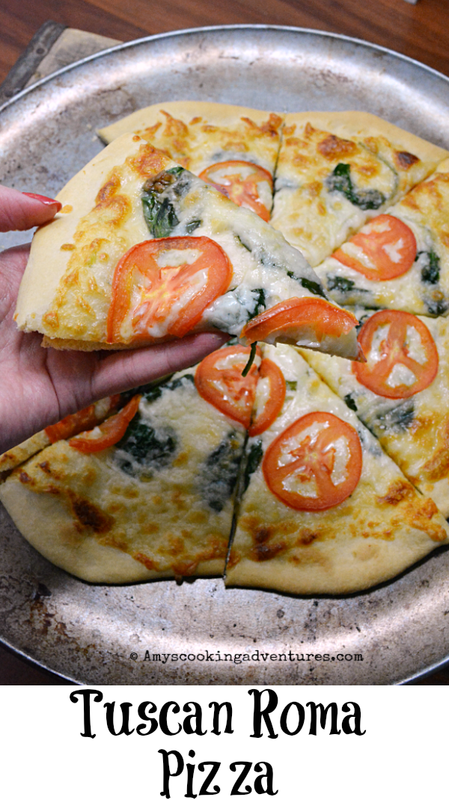 It’s a fantastic vegetarian pizza option and while certainly not low-cal, it’s worth the splurge! Don't miss the other cheese-centric recipes today! Preheat oven with pizza stone (if using) to 425 degrees F.
To make the alfredo, melt the butter in a small saucepan over medium heat. Add the garlic and cook for 30 seconds of until fragrant. Add the half and half and heat to steaming. Whisk in the parmesan. Keep whisking until smooth. Season with pepper. Remove from heat and set aside. To sauté spinach, heat the olive oil in a medium skillet over medium heat. Add the garlic, cook for 30 seconds or until fragrant. Add the spinach and cook until wilted. Remove from heat and set aside. Make dough. Split into 3 rounds. Roll out onto a cornmeal dusted pizza peel. Spread 1/3 of the alfredo sauce over each dough circle. 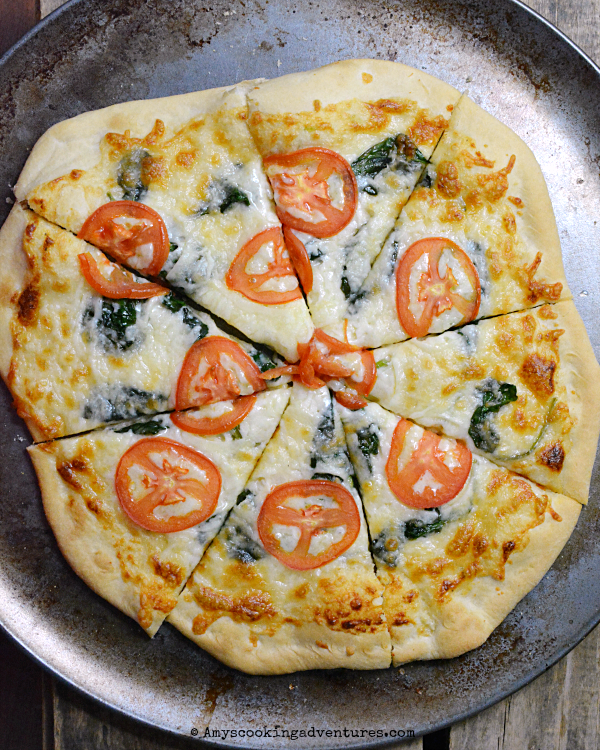 Follow with spinach mixture, mozzarella, and roma tomatoes. 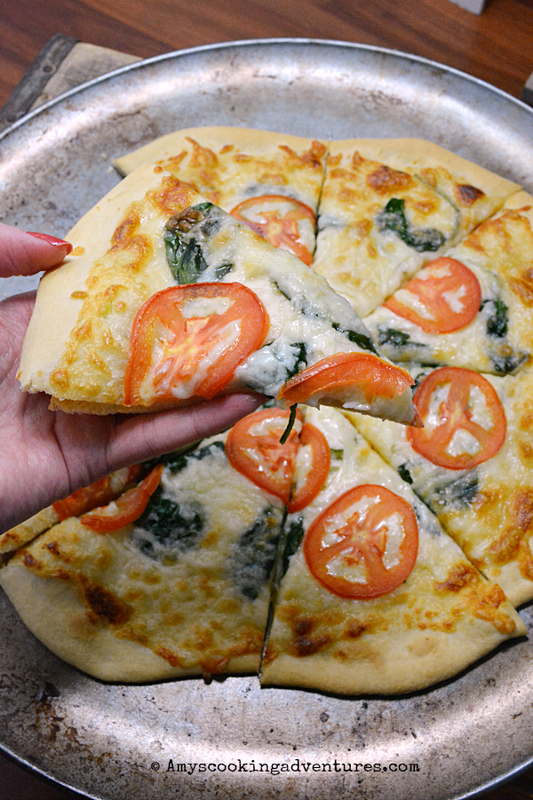 Bake for 8-12 minutes or crust is lightly browned and cheese is melted. Oh heavens. Or should I say, heavenly. That pizza looks amazing, and is perfect for the cheesy theme.